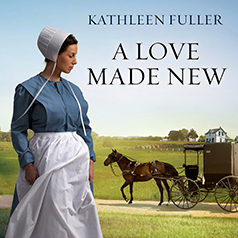 In this Amish of Birch Creek novel, Abigail thinks she's lost her chance at love, but with God all things—even love—can be made new. Abigail Schrock stands happily next to her younger sister as Joanna marries her childhood love. Joanna has been through so much and deserves this happy day, but Abigail can't deny the little thread of jealousy. She had hopes of having her own wedding soon—that is, until the boy who'd been courting her left her for another girl. A much prettier girl. Can any man love her after she has given her heart, her everything, to another man who so carelessly tossed it aside?